Welcome to the Novitske Custom Homes website! 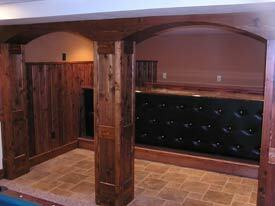 Novitske Custom Homes is your one stop for all your home building or remodeling needs. My name is Josh Novitske. I take great pride in every project I work on. When you call Novitske Custom Homes, you will talk to me personally. I will meet with you one on one, and when it comes time to do the work, I will be the one that performs it. Novitske Custom Homes currently does not have any other employees. For larger projects, I hire one or two subcontractors to help and they have the same high expectations for quality that I do. What does this mean for you? Low overhead means you save money without sacrificing quality. "Josh is a guy that takes great pride in his work and doesn't miss a single detail." Thank you for visiting my site. Please contact me with any questions. I am looking forward to working with you and would enjoy the chance to help build your dreams. For those of you who have already worked with me, I thank you. Novitske Custom Homes would not exist without its clients.